Today is Ada Lovelace day, in which we are celebrating women in science and computing. Daryl Rayner is the Exact Editions Managing Director and one of the three founders of the company (with Tim Bruce and me, Adam Hodgkin). Daryl has a wonderful record of persistently and courteously creating business on the web, at Exact Editions and in her previous career. In fact she was in the 1990’s the first web marketing manager for Nature, the leading scientific research magazine. Ada would have approved of that. Because of her name, Daryl is in email correspondence quite often mistaken for a man. That doesn’t faze her, in fact Daryl is not easily fazed. 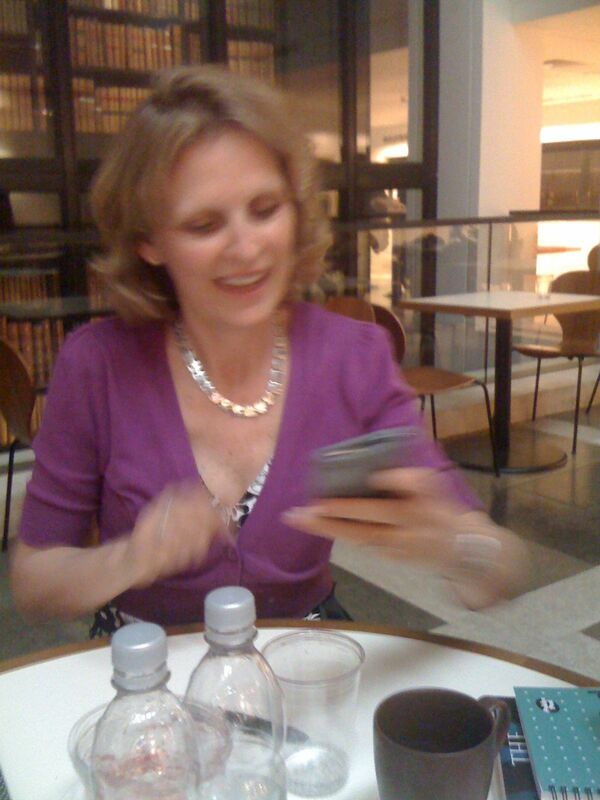 Here she is looking at her iPhone in the British Library (where as it happens much of Ada Lovelace’s correspondence is to be found).